Kaia is taking a break from teaching at Carleton while she travels to Mexico and beyond. See the Carleton Athletics calendar for alternative classes and teachers. 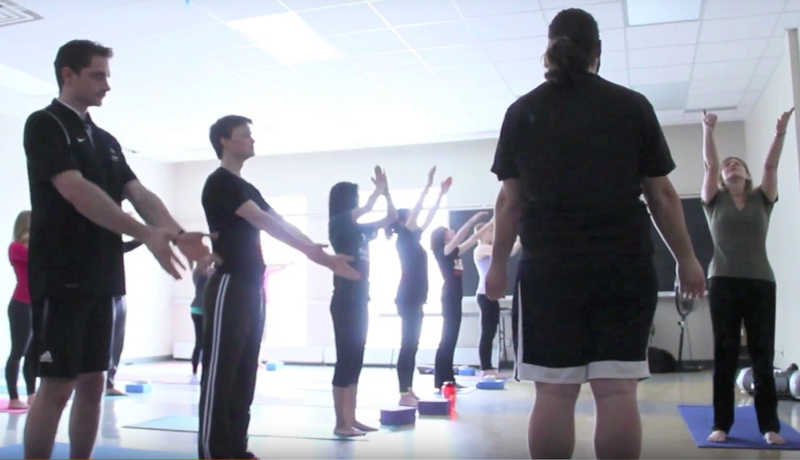 A Carleton Athletics CUFit pass allows you to come to all five of these yoga classes and many others. Deep, long-held stretching for flexibility and embodied awareness. A good all-round mix of poses for flexibility, strength, balance and peace of mind with pose options to suit all fitness levels. Move on with your yoga practice with this “all levels” class and increase your strength, balance, flexibility and skill, at your own pace. More advanced poses and flow sequences are offered along with gentler options so you can choose your personal level of challenge. Class content changes each week, with varied approaches from different traditions to deepen your practice, introduce new poses and renew inspiration. Yoga in a circle, offering a range of poses to suit your strength and flexibility, breath work and relaxation for a calm peaceful mind and sharing of women’s wisdom. This class also offers support during moon days, poses to relieve menstrual cramps, PMS, stress, and methods to enhance emotional health, energy levels and quality of sleep. Door windows are covered creating a safe and secluded space.